It is up to you if you want to bring a folio of certificates that you have completed over the course of your career. Generally speaking though, it would be wise to include these certificates in your resume for an employer to refer to, instead than handing them a folio for them to sift through – which most likely will be brief. One benefit to just listing them down is your CV is that it makes it easier for the interviewer to see all the certificates you have completed in one snapshot – the certificate name, year and issuer. Do you have an interview coming up and would like one-on-one coaching? Why should you research the employer before being interviewed? Matthew Coppola is an Australian Careers Advisor, Employment Specialist and Resume Writing Expert. If you are interested in having him as a speaker or utilising any of his services, please contact him by clicking here. Going for an interview is like going out on a date with someone. Now both are similar for many reasons, but generally speaking, if you went out on a date with someone and it wasn’t a blind date, you would be more prepared and confident if you knew a bit about the person with whom you were about have dinner or a drink with. That kind of research might entail conversations with friends among other things. What if your friends told you that she was no good, she would hurt you and she is untrustworthy. And this is from multiple sources including Facebook page where you see her photos and posts with are in line with the reputation your friends gave her. Armed with this information and research, how do you now feel about this date? Well not only would you be uncertain about her but you would be more prepared with what kind of questions you want to ask her and you would not let her pretty looks cloud any of your judgement! So research is key to being prepared and confident! Same with having an interview with an employer. It’s always best to find out everything you can about the companies you want to work for including: their product lines, competitors, prices, growth prospects, organisational structure, employment policies, key staff and overseas trends and developments which may affect local operations. The best way to approach this is speaking in person to someone who works there or knows someone who does. This is where your personal contact list will be important and this can be found through online sources like LinkedIn, a professional networking website where you can connect and message professionals in your industry. Matthew Coppola has more than 6 years’ experience in the recruitment, staffing and training industries with a focus on employment services, specifically Job Services Australia and Disability Employment Services. He has experience in business development, marketing, sales and training. 1 – Tell me about yourself. This seems to be an innocent enough question. But be aware that Interviewers often ask this as an invitation for you to share your life story or personal information. Interviewers often want to know personal details like your age and marital status. So this question often elicits background information such as when you graduated high school or college, your marital status, number of children, etc. When you hear the tell-me-about-yourself question, think of how you can answer with details about your prior work experience, abilities and professional accomplishments that will fit this job. 2 – What else should I know about you? If the “tell-me-about-yourself” question doesn’t prompt you to reveal personal statements, later in the interview (when you have been lulled into complacency), the interviewer often asks this question. Reiterate why you are the best fit for the job. No personal info is required. It’s up to you what private details you reveal. 3 – Why should we hire you? Talk about a job where you used skills you believe will be necessary in this job. Point out how your skills or experience meet the needs of the organization. You can say, “Because I am the best candidate for the job,” as long as you add the reasons that make you the best candidate. Be confident and enthusiastic and emphasize several reasons why you should be hired. “I’ve got extensive experience in (whatever) with the specific skills you are looking for. I’m a fast learner who has learned to adapt quickly to change …” Give examples to back up your statements that demonstrate your unique qualifications. 4 – What are your weaknesses? One/ of the secrets to answering this question is being honest about a weakness, but at the same time, demonstrating how you have turned it into a strength. For example, if you had a problem organizing your work in the past, demonstrate the steps you took to more effectively keep yourself on track. This will show that you have the ability to recognize aspects of yourself that need improvement, and the initiative to improve. Do not say, “I don’t have any weaknesses,” or “I am a bit of a perfectionist.” Those answers will turn off interviewers. They know the first is probably untrue and the second is impossible. Being a little bit of a perfectionist is like being a little bit of a liar. Better to use a weakness that is really something you are trying to learn like a foreign language or a new software program. Make sure that any weakness you talk about is not a key element of the position. 5 – What is your greatest strength? This is your opportunity to highlight your best skills. Focus on your top three or four. Examples would be: “my leadership skills, problem-solving ability, team-building skills, interpersonal skills, ability to work under pressure, professional expertise, ability to resolve conflict” and so on. Be prepared to offer examples for each skill you mention. 9 – Where do you see yourself five years from now? Do not indicate that you hope to start your own business, change careers, or go back to school. Such responses indicate a lack of long-term interest in the organization. Keep in mind that throughout the interview, the interviewer is trying to discover if you are a good fit and can make a positive contribution in the job. 10 – Why do you want to work here? 11 – Why did you leave your last job? 12 – What did you dislike most about your last job? 13 – What is a weakness you still have? A negative question again. Repeat a “weakness” you may have used earlier that indicates how you are working to learn something new. 18 – What salary are you looking for? Behavioral interviewing focuses on the candidate’s actions and behaviors and therefore minimizes the personal impressions that can affect hiring choices. This style of interviewing is based on the premise that the best, most effective way to predict your future behavior is to determine your past behavior. 19 – Describe a problem situation and how you solved it. If you had responsibility in your previous jobs, you can describe a work situation where you were responsible for turning it around. If you do not have professional experience, describe something like prioritizing your schedule and making to-do lists to give you enough time to study. Regardless of the issue involved, you demonstrate that you can think critically and develop a solution. 20 – Describe how you handled a stressful situation in the past. Give an example of how you used your problem-solving or decision-making skills to reduce stress. An example might be that you learned the value of a time-out for both yourself and your staff. Or if it’s true, how you actually seem to work better under pressure and deadlines. 21 – Tell me what has been your greatest work-related accomplishment? Choose an example that was important to you and also helped your company. Give specific details about what you did, how you did it, and what the results were. Talk about an accomplishment that relates to the position you are seeking. Interviewers like to hear about accomplishments that reduced expenses, raised revenue, solved problems or enhanced a company’s reputation. 22 – How did you keep current and informed about your job/industry? 1. What is the biggest mistake people make when sending business emails? The biggest mistake would have to be sending emails with too many subjects. If you are sending an email, make sure that it is on one subject alone, not many. Because when people receive emails with too many subjects, the email respondents end up forgetting to reply to most of the different matters. So I suggest when sending emails, make sure they are on one subject, and if you have a number of matters that need dealt with, keep them as separate emails. 2. What is a common mistake people make without realising they are making a mistake? Bad grammar – forgetting to spell check is a common mistake people make that they don’t realize. When sending emails throughout the day, we may become busy and so will rush through an email, and sending it without double checking our grammar and punctuation. So it is always good to double check our emails before sending. 3. How should an email be properly constructed? Thank you for your time today to discuss the matter with you. This is the base of the email. Key information for the reader is in this part of the email. Whatever you need to ask or say put it in here. Always end an email off in a positive note or to recap your email. I look forward to seeing you next week and discussing the proposition with you. 4. How important is good email etiquette? 5. What are the possible ramifications of bad email etiquette? – The email may be passed on as junk mail if the subject line is too general or small. – The use of emoticons and acronyms like BTW (by the way) are way too informal. Not everybody knows what they mean. Readers could even get the wrong impression of your email writing skills. Controlling yourself from peer pressure by work colleagues – how you can cope! Peer pressure is when group of peers start exerting influence to persuade us to change our attitudes, values, or behaviour so that we meet their desired group norms. Unfortunately peer-pressure doesn’t stop at school. It follows us right through to the workplace. Various instances of peer pressure can occur at work. For example it may be that a co-worker wants you to go out for drinks after work but you don’t really want to, may be continuous junk mails circulating around the office that try and capture your attention or could be from a co-worker asking you to cover their shift for them. These are just a few examples of peer-pressure occurring in the workplace. Is it natural to feel this way? It is only natural to want to be popular and accepted by your peers at work. Influence from your peers shouldn’t be viewed as necessarily a problem. Take the illustration of a butcher sharpening a knife. The butcher turns a blunt knife into a sharp knife ready to cut. If your work peers have mature, professional and respectful attitudes in the workplace, they can actually help sharpen your knowledge, skills and abilities in the workplace. However not all workplaces offer positive and up building influences from work peers. Many of your colleagues in your working life, both blue collar and white collar, will lack in professionalism, honesty and respect. They may have views and opinions that are unreliable and even false. So if you do become under the control of your peers, whether it be to cover someone’s shift or gossip about another co-worker, it may be little more than the blind leading the blind. You would just be as much of a fool as they are. I am starting to feel upset and negative, what do I do? Have you started forming a negative attitude toward a co-worker or management? Have you noticed any changes in your attitude, behaviour or actions at work in order to fit in? It is true to say that no one can make you do anything you don’t want to do, just like the saying that you can lead a horse to water but you can’t make it drink. Ultimately it is your decision. You may think it’s easy to not be intimidated by what your colleagues will think of you, but when you are faced with peer pressure it’s another story. For example, what would you do in the following circumstances? One of your co-workers asks for your opinion on another co-worker who keeps coming to work half-an-hour late. You know that they are gossiping and don’t know the full story, but they’re waiting to hear what you think. You receive junk mail circulating around the office that has been forwarded by a colleague. Everybody else is replying to the email, and you feel obligated to make a comment. They aren’t easy situations to deal with are they? Most of the time, peer pressure won’t be direct from your colleagues, but may actually be indirect like from the last example. You don’t have to reply to the email circulating around the office, but because everybody is doing it, you may feel obligated to do the same. So how can you build up the strength to stand up to peer pressure from your colleagues? Giving in to peer-pressure at work is the same as allowing others to do the thinking for you. The moment you step back to think about the actions that you’re going to make because of peer influences, is the moment that you will have the courage to stand up to them. Using your own thinking ability and knowledge and not relying on your co-workers foolish reasoning’s is the best way to overcome what it is you are feeling pressured to do. It doesn’t matter where you work, be it in an office or on the factory floor, you may be disliked or scorned at because you are using your thinking abilities. Remember, you are the one with the greatest strength than your co-workers who give in to their foolish passions. Take for example the co-workers who ridicule management and their decisions. Are they heading into a successful direction in their career? Of course not! Their attitude won’t just stop them from progressing in the business, but every other workplace they work at. So is that where you want your career to end up at? I doubt it. How do I cope with peer pressure? Peer pressure will follow you everywhere, regardless of where you work. You can’t avoid this at work because you need to work alongside your colleagues to fulfil your job responsibilities. So what do you do? First thing is you need to keep your cool. If a colleague or supervisor says anything to you that makes you feel pressured or anxious at work, you need to keep your cool and be upfront with them. We will look at two scenarios – indirect and direct peer pressure. An example of direct pressure would be if you accidentally arrived 10 minutes late to a meeting and a co-worker says to you “just wake up did you?” this then makes you feel under pressure because you arrived late and you’re not meeting your job commitments. You should be upfront with anyone that puts pressure on you at work, but in a mature and responsible manner. In this example, your reply should be “what are you trying to imply bob?” this will put the co-worker on the spot and have to justify why they are putting pressure on you. Or in our previous example earlier, if a co-worker were to ask you to cover their shift, your first reply should be “No, I am not going to cover your shift” and if they ask you why you won’t, put them on the spot by replying “why should I have to cover your shift, am I not entitled to making my own decisions about what I do and don’t?” this then allows you to be assertive and let the other person know that you make decisions on your own, and not be guided by someone else. Finding a new job isn’t easy especially in tough economic times. Generally during quiet times over the economic cycle, there are usually more people looking for work then there are available jobs. For every job advertised there most likely will be over a hundred people applying. Keeping this in mind, when looking for work you want to make sure that you branch out into using different job searching techniques. Sometimes it may just be trial and error to see what works for you. 1. Apply online with a tailored cover letter and resume specific to that industry. An Experienced Resume Writer You Can Trust! Recently I was asked by a client for their own peace of mind, about my experience and skills in resume writing and employment services. And rightly so! Before anyone hands over money for a resume writing service or any other service for that matter, they have the right to know who is doing the job for them and how credible they really are. This client prompted me to write an article about myself (vain I know) for everyone to read and acknowledge my ability to write a professional and personalized resume that sells to a prospective employer in whatever industry they may be in. 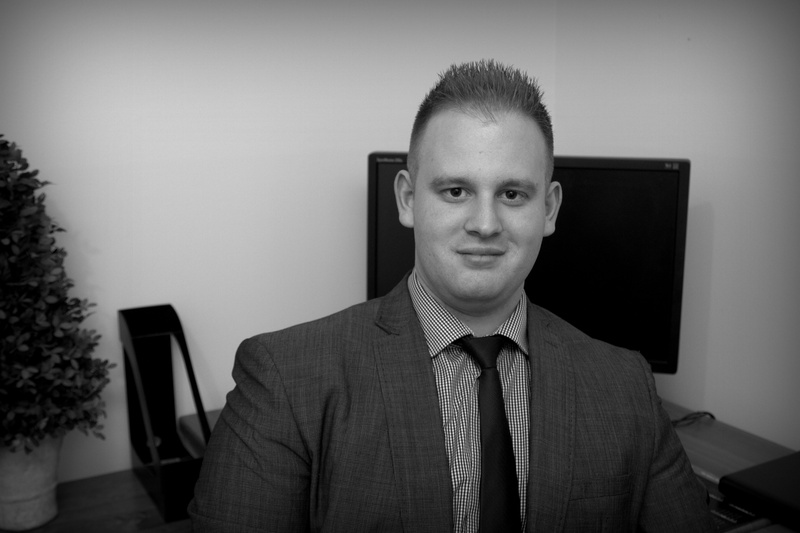 At the age of 25, I now have over 6 years’ varied experience in the Employment Services and Training Industry. I have worked for Job Services Australia as a Recruitment Consultant and now Disability Employment Services as a Disability Employment Services Consultant assisting local people with Mental Health disabilities in gaining sustainable and gainful employment and being part of that process right from initial registration through to post placement and on-going support. My background in the training sector has been as a Business Development Manager. Moving into employment services, I combined my marketing and business development experience to be effective in building loyal relationships with employers and other stakeholders critical to the success of my clients. Over the years I have developed extensive skills and techniques from reading numerous books and trialing different approaches in Resume & Cover Letter Writing, LinkedIn Profile Writing, Addressing Selection Criterias, Applying for Jobs online and Career Coaching. My industry experience is so vast and spread out and includes jobs in Mining, Construction, Administration, Health Care, Manufacturing, Retail, Security Services, CEO and Executive level and so many more industries. I understand what employers want and how to communicate effectively to them. I know how to properly read a job advertisement and interpret what they really want and then address this in the cover letter. This has proved very successful and my testimonials will prove that. I am aware that applying for work shouldn’t be rushed and that employers can tell if you are just sending out your resume for the sake of it. This applies to all employers and jobs whether they be in Melbourne or Perth or in the Pilbara region of Northern WA. Writing Selection Criteria’s can also be very difficult for people because it is so time consuming and there may be so much you want to say but if you do go on then it will be far too long and may not be read thoroughly. To key to writing a good and effective Selection Criteria is to keep it to the point and give the employer just enough information that leave’s them wanting to know more. For each criteria, you should have around 1 to 2 examples maximum proving that you have met the criteria in your past employment. Each criteria should have a paragraph with an introduction, body and conclusion. My academic is a Bachelor of Commerce majoring in Economics at Curtin University of Western Australia and a Graduate Certificate in Career Education and Development at RMIT University.